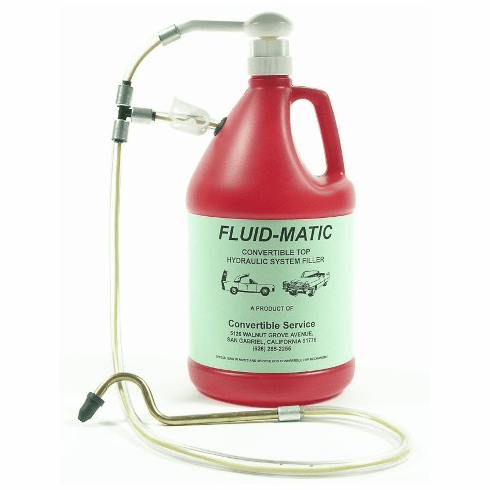 The positive-feed hydraulic system filler. 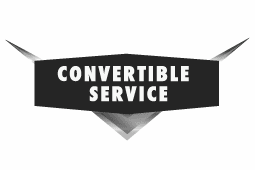 Designed for convertible top systems on Ford, G.M., and Chrysler convertibles from late 50�s to present. Just insert the specially tapered nozzle into your reservoir filling hole, then run the top up and down. In about five minutes the air in the system will be replaced with fresh hydraulic fluid. Even completely dry systems which used to require the messy process of "pre-priming" can be quickly filled in one easy procedure. A "must" for any shop or do-it-yourselfer. Comes assembled, ready for use; complete with simple instructions. For Convertibles, 1955-present. FLUID NOT INCLUDED.